As an insurance company, Discovery covers millions of clients – small, medium and corporations as well as individual customers. Discovery Credit Cards are exciting and offer customers discounts, rewards, benefits and cash back. To qualify for one of their cards you have to be a Discovery Health or Discovery Life member with the Vitality option. You also need to be a South African citizen and be 18 years of age or older. Shop at Pick n Pay with the smart shopper card and gain smart shopper points which get multiplied according to your Vitality status. What is the Vitality Benefit? Discovery has a wellness programme known as Vitality which provides information on how to live a healthier life. Earn Vitality points and build up your Vitality status as your health increases. Work on your Vitality status as the higher your status, the better your rewards. To find the Discovery credit card that suits your style, read credit card reviews for unbiased opinions of each card. You’ll be able to compare Discovery’s different credit cards side by side, their rates, fees, features and benefits. Choose one that works with your budget. There are quite a few credit card comparison sites that provide reviews on credit cards and which provide a rating for the particular credit card. Apply online for your DiscoveryCard – no need to call in at the Discovery offices. You can also phone them. They offer the option where you can SMS your details and then an agent will call you back. Yes or No – You Hope its Yes! After you have applied for any one of the Discovery Credit cards, the eligibility process starts. 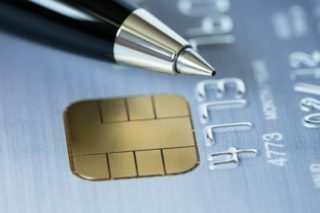 The credit department then decides whether you are eligible for a card based on your credit history as well as your salary. You’ll need to submit documents to verify your income. Sign and then Start Spending responsibly! Once approved, the excitement begins. Your Discovery card will be couriered to you.